Have you ever been chowing down on a cream cheese and cucumber sandwich at a fancy afternoon tea, looked over at your best friend and thought, 'I wish my beloved pug pup was here guzzling finger sandwiches with me instead of you'. Well, now you can eliminate seeing your friends altogether and just take your dog out for a spot of sophisticated salmon instead. We've got nothing against everyone we know, but one thing's for sure: they're not a super cute adorable puppy, are they? And that's their ultimate downfall, sadly. See, we like doing civilised stuff with our peers. We like drinking wine and talking about work, or popping out for a spot of afternoon tea and drinking with our pinkie finger in the air. But now that we can do both of those things with our pet pooches it's see ya later friends, nice knowing you boyfriends, back off workmates - from now on it's just us, and the dog. The Egerton House in London is now offering a 'Doggie Afternoon Tea' that allows you to bring your best friend along to a sophisticated lunch between 12-6pm daily. And whilst you enjoy a spot of tea and a scone, your pooch won't be dining out on the same - their palate is much too sophisticated. No, your dog will also enjoy a three tiered stand but filled with such treats as chicken and beef meatloaf, "doggylicious" ice cream and a homemade doggy biscuit - and the lucky pups will also get a chew toy to take home. And where's our doggy bag?! 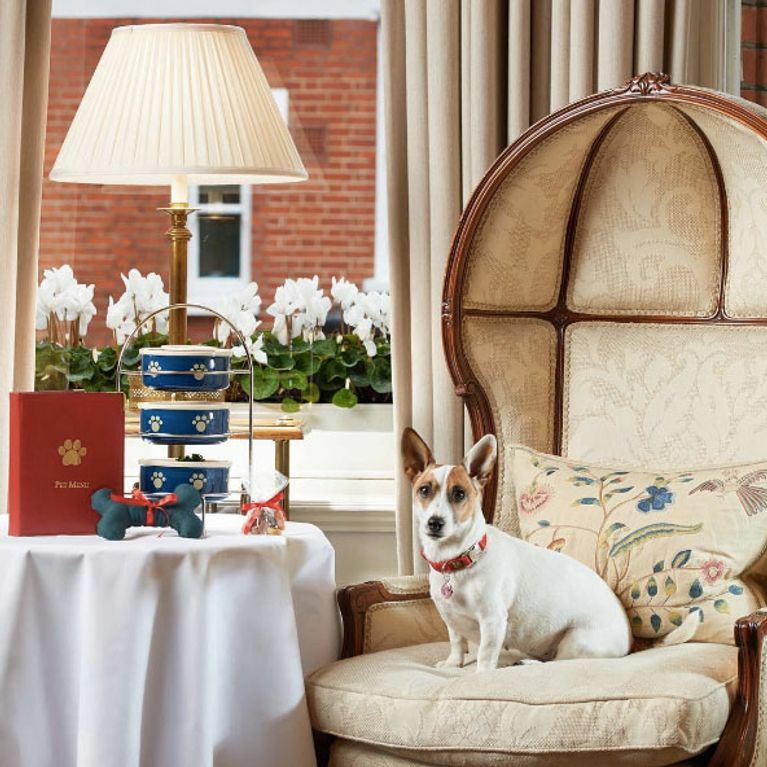 Whilst your pooch's afternoon tea only comes to £18, The Egerton Hotel's Traditional Afternoon Tea for humans is £40. So if you choose to dine with your doggy, it'll set you back about £58 - but totally worth it to spend even more time with your perfect pup, right?